Shadow IT is casting a long shadow over IT departments as more organizations react to changing demands from their customers, partners and regulators. 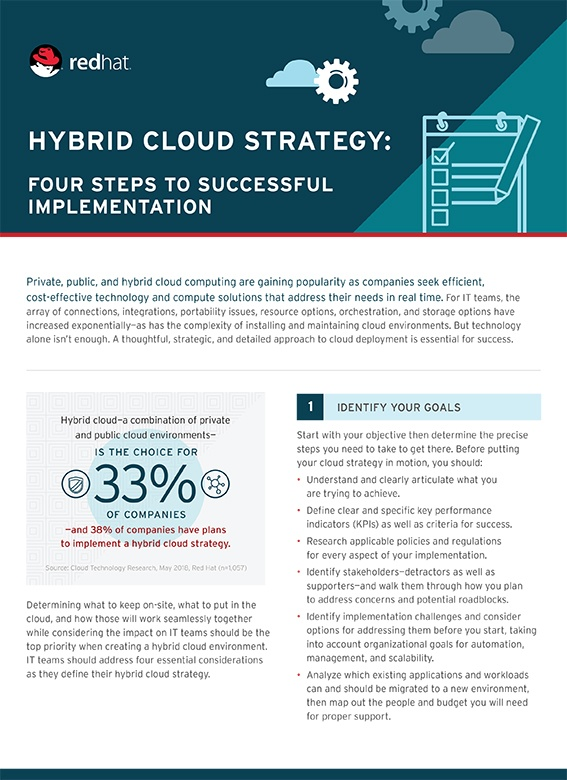 Groups and individuals outside of IT are taking matters into their own hands by tapping new cloud-based applications and hosted data centers. Shadow IT involves any purchase of equipment, software or data center resources for uses outside of production IT. These purchases usually fall outside the IT budget as well. In many ways, this trend effectively cedes the influence and control of CIOs and IT managers to others within their organizations. According to at least one bold estimate, shadow IT is set to make up 90% of all IT purchases by 2020.
becoming faster and easier to acquire cloud resources that take longer to get with traditional IT processes. It’s therefore hard to hold back the growth of shadow IT. For example, a test engineer who needs some servers for performance testing. Or a product manager who needs some machines for internal training. Setting up a few AWS instances could take a matter of minutes – you just need a credit card. That seriously lowers the motivation to start requesting those resources from IT, explain why you need them, get approval, and then wait for manual allocation or completion of the purchasing process. As everything gets faster, online, and more automated, the line of business cannot afford to wait. Let’s examine the main uses of shadow IT to get a better understanding of what is happening. Developers and test engineers are under huge pressure to be more agile. Even in organizations that we would never think of as “fast,” the pace changes rapidly. In heavier organizations that spent years establishing well-groomed IT processes, the dev/test consumer’s patience is running low. We are officially at a point where swiping a credit card and expensing an AWS instance has become easier than opening a ticket to request a virtual machine. As DevOps and automation cross borders and become mainstream, the need for speed makes Shadow IT thrive. Another line-of-business activity that’s implementing shadow IT involves the sales enablement process. This includes demos and proofs of concept, along with internal and external trainings, or customer support services. Until lately, most demos and proofs of concept were the responsibility of sales organizations, and such work was generally performed beyond the purview of IT. Now fewer companies are staging demos and proofs of concept at customer sites. They are adopting hosted data centers and web-based cloud services that customers and sales teams can access remotely through self-service. In recent years, many of these sales demos have been conducted at resellers and integrators, or by building a lab at a hosted data center where the infrastructure and software is housed. Shadow IT is also catching on for partner enablement to facilitate software development sandboxes, certifications, and testing of software-defined networks. Many industries depend on such product ecosystems for their long-term success. With software-defined infrastructure, the software can be easily integrated and controlled using outside tools. Most major hardware and software vendors are developing new partner labs. Members of the partner ecosystem can certify performance against the vendor’s equipment and interfaces without making big capital investments in the infrastructure themselves. Some examples include Cisco DevNet and Salesforce’s Force.com. The organizations that adopt agility and DevOps are no longer the leanest and most cutting-edge. They can’t get away with a single Amazon instance. They need support for more complexity, more configurations and more context. They need to better mimic production, because more is at stake. As more lines-of-business in these organizations need to be faster, it’s becoming more challenging for IT to meet their needs with the Production IT toolbox – whether it is for development, testing, security certifications, demos or support. These kinds of use cases for shadow IT are on the rise, meaning shadow IT will continue to be a growth market for years to come. Whether or not shadow IT will consume 90% of all IT budgets remains to be seen, but it will definitely make up a significant portion of IT spending until production IT changes its approach. Ber Lerner began her career with QualiSystems in 2007 and has steadily risen through the ranks in various roles starting as product manager, director of channel development, director of sales for APAC and Israel, senior director of international sales and, most recently, VP of sales, international. Ber Lerner holds a Bachelor’s degree with honors from Tel Aviv University in Biomedical Engineering.